Fabrication and trimming of plastic, PVC, acrylic, fiberglass and composites requires precision tolerances. 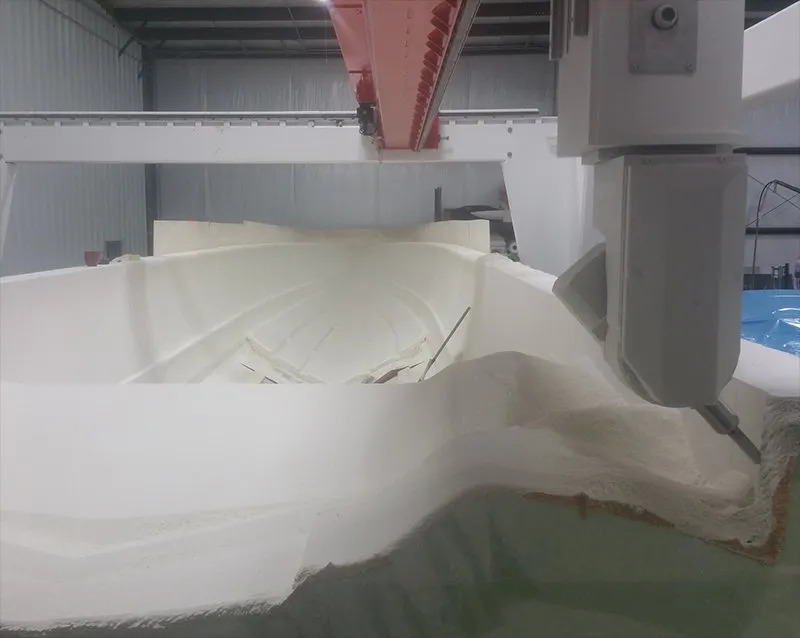 PDS helps our composites and plastics fabricating customers add efficiency and flexibility to their manufacturing operations with expert assessments and tailored solutions. At our U.S. headquarters, we stock more than 150 types of new spindles for plastics and composites, and have the ability to rush repairs for all makes and models of existing spindles. Our in-house engineering capabilities allow us to excel at the diagnosis and repair of mechanical or belt-driven spindles. To enhance throughput, 3- and 5-axis systems are available for machining small and large parts in a single setup. Whether you are machining patterns and molds or trimming and machining products, PDS can help optimize your production.